For the former military doctor Shuntaro Hida his experience with the atomic bomb in Hiroshima marked the beginning of a new era. While caring for the innumerable injured and dying after the complete destruction of the city, his resistance to war was reinforced. This profound experience is why he unremittingly has dedicated his life to fight for the needs of radiation victims and against nuclear power. In order to better support atomic bomb victims in Japan, the hibakusha (victims of the atomic bomb), who were suffering physically and psychically, Dr. Hida founded a clinic close to Tokyo in 1978. 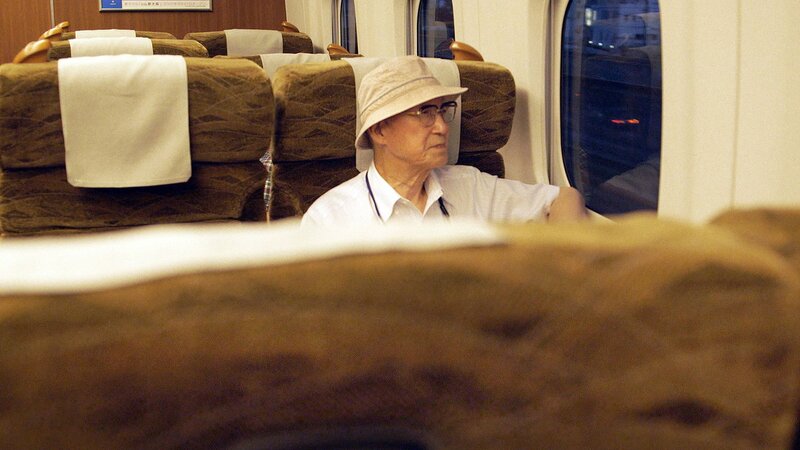 He remained director of that clinic until the age of 92 and treated almost exclusively atomic bomb victims and their children and grandchildren who traveled from all over Japan to see him. In this way he acquired significant knowledge about the symptoms of internal radiation. In the course of his life, Dr. Hida repeatedly was confronted with the fact that American censorship had its effects long after 1952 and even today. In 1975, as chairman of the nationwide atomic bomb victims’ association, he declared at the UN that there are still many people in Japan who suffer from the effects of the atomic bomb and that Japanese doctors couldn’t help them. He demanded that specialists from all over the world be sent to Japan to help. His suit was rejected. It was argued that a report issued seven years earlier by the Japanese and US governments proved that everyone who became ill from the atomic bomb had already died and therefore there were no longer any victims. It was only after Shuntaro Hida returned to the UN two years later with tens of thousands of medical reports that the legitimacy of radiation victims was acknowledged and, beyond that, the official number of deaths was raised from 64,000 to 140,000. Dr. Hida’s opinion is that it was primarily the Atomic Bomb Casualty Commission (ABCC) sponsored by the US atomic energy department that systematically downplayed and covered up the facts. The ABCC was established by the Americans in Hiroshima in 1947 and since 1975 has been maintained by the Japanese in collaboration with the Americans under the new name of Radiation Effects Research Foundation (RERF): “Today, worldwide consensus is that knowledge about the effects of radioactivity is based on the experiences of the hibakushas from Hiroshima and Nagasaki. The admissible amount of radioactivity before it becomes toxic, that is, the maximum permissible value that is the worldwide standard, is still determined by the RERF. They are so respected that even when one says that all of their information is wrong, they will always be right,” says Dr. Hida. According to him, the ABCC supported their studies with control groups, for example, whose members were exposed to weak radiation and therefore could not form a comparative basis. In this and other ways, results were produced that trivialized the effects of internal radiation. Dr. Hida says that none of this has changed until today, but he considers it his task to fight these conditions until the end of his life. He is the last surviving physician who experienced the atomic bomb and who like no other has observed and tried to treat the consequences of internal radiation on the lives and sufferings of thousands of people over decades.